Home › Articles › Are you entitled to a bonus? There are few things as controversial and consequential as the payment of bonuses – especially 13th cheques or year-end bonuses. Economic times are tough and business confidence is low. Many companies are tightening their belts and struggling to retain their current staff complement, let alone pay extras such as bonuses. But before we get to the question of whether employees are entitled to bonuses, it is important to distinguish between 13th cheques and bonuses. Benjy Porter, the CEO of Legal and Tax, says while many employees use the terms 13th cheque and bonus interchangeably and these concepts exhibit overlapping features, they are not really the same. Porter contends that an employee’s individual contract of employment will specify what you are entitled to: a 13th cheque, or a bonus that depends on performance or the performance of the company. According to the online advice website South African Labour Guide, they receive a plethora of enquiries regarding bonuses – their timing, the amount and what employees are entitled to. And this matter, it seems, is dealt with largely at the discretion of individual employers – with some caveats. “Firstly, at the outset, it must be understood that Labour Law is silent on the question of bonuses. This means that the payment or non-payment of bonuses is a matter entirely for the employer to decide and to negotiate with employees. “If an employer who presently does not pay bonuses of any sort wishes to continue on that route he can do so, without fear of being accused of unfair labour practice,” they say. “If you are taking a new job and you are promised a bonus or 13th cheque as part of your package, be sure that this condition is in your employment contract before you sign,” Porter says. He adds that if a company has followed the company policy or the terms of an employment contract, employees will not be able to contest a company decision not to give a bonus. The South African Labour Guide asserts that in the case of an employer who presently pays bonuses and wishes to change the status quo to some extent, will have to consult with the employees, explain the problems, and attempt to get them to accept the new system. “Employers must remember that such changes do constitute a change to the employees’ terms and conditions of employment, and this cannot be done unilaterally ─ it must be negotiated with the employees. Gavin Standfield, a director in Cliffe Dekker Hofmeyr’s employment practice, agrees that there is no legislation in South Africa that obliges employers to pay bonuses, but notes that there is no such thing as unfettered discretion and fairness is a guiding principle. However, he says, the burden of proof in contesting the non-payment of a bonus rests with the aggrieved employee. BusinessTech, 17 November 2017, “Bonus vs 13th cheque”, https://businesstech.co.za/news/general/49369/bonus-vs-13th-cheque/. 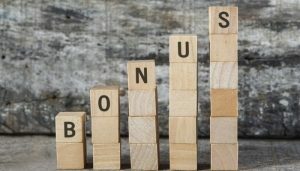 Gavin Stansfield, 3 December 2018, “Are companies liable by law to pay their employees bonuses?”, https://www.golegal.co.za/bonus-obligation-employer/. The South African Labour Guide, 2019, “Condition of employment: The payment of bonuses”, https://www.labourguide.co.za/conditions-of-employment/63-the-payment-of-bonuses.